If your home is left vacant for a certain period of time, your regular home insurance might not cover any claims. This means that you may need to consider a specialist home insurance policy that covers homes left unoccupied for a long period. You can get online quotes from specialist providers like HomeProtect. We've negotiated a 10% cashback deal with HomeProtect for members of our specialist home insurance group. You can join for free to unlock the deal. Generally, insurance companies define a building as unoccupied if it has been vacant for 30 consecutive days or more, though some may say it can be empty for up to 60 or even 90 days. Home insurance companies are generally reluctant to offer insurance for unoccupied houses because empty buildings are more susceptible to fires, floods and subsidence, as there is nobody present to help prevent them. They are also more attractive to vandals and thieves. Homes can be left vacant for renovation, as part of a sale or house move or if the owner is taking a long trip abroad. Some insurers will take into account the reason so be honest with them about why the building is unoccupied for a long period. If you are a landlord, it is your responsibility to keep your buildings insured whether or not you have a tenant. For more information, check out our guide to the best landlord insurance companies. We've also written guides to the 10 best home insurers, some of which may have longer unoccupied building clauses, and getting cover if you've been refused a quote. What does the best unoccupied home insurance look like? 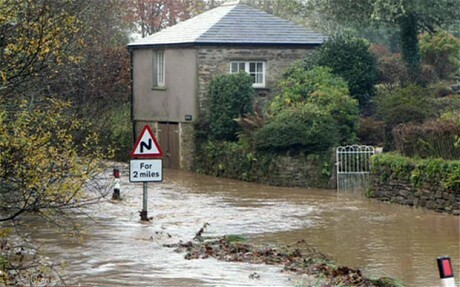 What exclusions might there be for empty property insurance? Some insurance companies will not insure your vacant property against malicious damage. Others may restrict the cover they provide for theft and damage for escape of water. Make sure you check the insurer's policy documents thoroughly so you know exactly what you're covered for. What does vacant property insurance require me to do? Make sure your house is well maintained. Most insurance companies require the outside of the house to be well maintained so the house doesn't look unoccupied. If your house looks as though people are living in it, it is less likely that someone will vandalise or burgle it. Make sure the building is secure. Most unoccupied house insurance policies require that all external doors be fitted with at least a 5 lever mortice lock and that all windows are secured with key operated locks. Insurance companies also usually have minimum requirements for any outbuildings and may look favourably on security measures such as burglar alarms. Check the house regularly. Unoccupied home insurance policies usually require you to visit the building to make sure that everything is okay at least once every seven days. Making regular checks also helps to ensure the building is maintained to an acceptable standard and means any problems like floods can be caught early. Some insurance companies don't require that it be you who checks the property, as long as someone - a friend or relative - visits to make sure everything is okay. Often, unoccupied home insurance policies are annual, meaning it can be hard to find policies that cater to people who need cover for, say, nine months. Some insurance companies will offer more flexible policies, though. Towergate, for instance, offer three, six, nine or 12 month policies, and three levels of cover for each. Get a quote with Towergate here. It's also worth checking your regular home insurance policy if you only need unoccupied home insurance for a short amount of time. Some can cover you for up to 90 days. 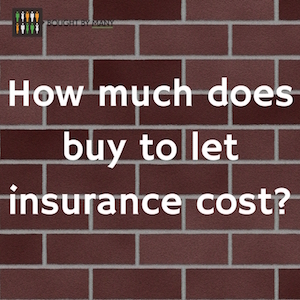 How much does unoccupied property insurance cost? You can get a quote from HomeProtect for vacant property insurance here. For more information about the best home insurance companies, check out our Top Ten Home Insurance article here. Need your home covered? Join one of our home insurance groups to find a fairer deal.